Puffle hats were a pretty cool, but also quite modern, feature of Club Penguin where you could let your puffle wear a hat! 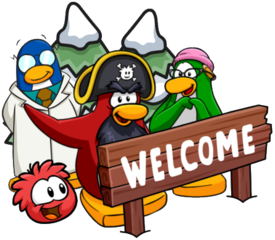 There were a huge variety of hats you could select from, however, sadly the team have confirmed that it won’t be added to Club Penguin Rewritten. We won’t be doing puffle hats (due to) mainly technical limitations. We’re a small development team, stuff like puffle hats just isn’t easy. Not to mention, all of the hat sprites are for the new puffle design. 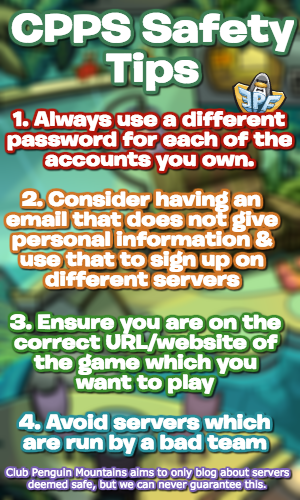 Although this won’t be happening, puffle care is still planned to be improved and hopefully will improve soon. “you could let your penguin wear a hat!” wouldn’t it be puffle instead of penguin? They never intended that in the original CP and was later added by Disney (from my understanding). I think adding it would kinda take away from the old-school feel of CPW. I also have Club Penguin (redacted – very dangerous server) and I guess if we wanted hats we could go there. Yeah, the hats were quite a modern feature, and not one of the huge ones! By the way, just a quick heads up I’ve redacted the server you’ve posted due to how dangerous it is. Wait, you mean it’s not safe? Or I just shouldn’t be posting about it on here? It’s a dangerous server run by someone who has engaged in phishing scams, hacking, and other things which would even be inappropriate for me to mention here, so I prefer avoiding having it on this blog. Oh boy, thanks for the heads-up. REALLY appreciated! Hopefully there’s other cool stuff planned for puffles, but yeah, it was a neat feature. I remember Pufflescape was more modern and around that time. The team said they looked into it but it was unlikely to come, if I recall correctly.